We want to see more of your cute furry friends! Photos just aren’t enough anymore! We want to see your pup in action! 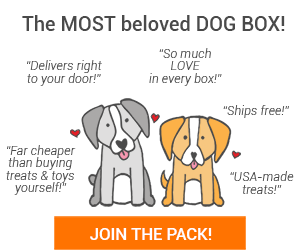 Take a video of them greeting the mailman at the door, tearing into their Pet Treater box, or playing with their favorite toys! They can show off their best trick to get a treat or just sit there with their box looking adorable! 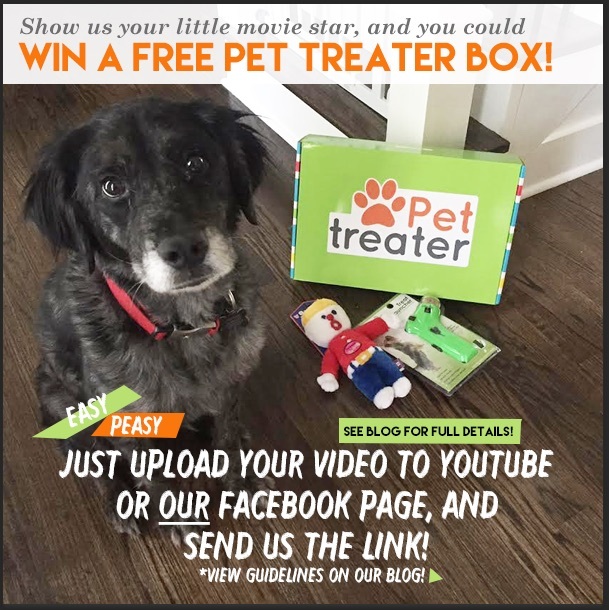 If we use your video, you will receive a FREE Pet Treater box! WOOHOO! 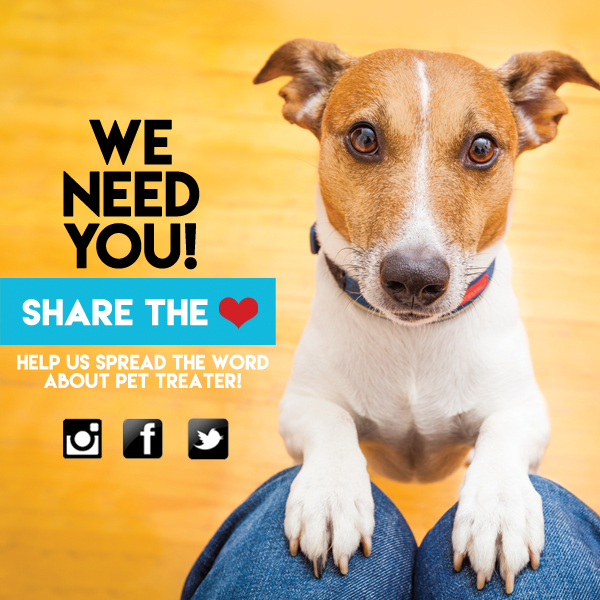 For EVERY video submission, we’ll enter you to win a YEAR of Pet Treater boxes! The better the video, the better your chance to win! Film the video in landscape style. Only 10-30 seconds long. Keep it short and sweet! Show our Pet Treater box somewhere in the video. Make sure to say your name and your dog’s name! Must be a current subscriber, with an active subscription. *Submitting a video gives us full rights to use it on our website or social media sites. High five for sharing!